Bram works with two AFF Instructor ‘candidates’ at Skydive Ratings in Skydive City in Zephyrhills, Florida. If you hold an instructional rating, you’ve either received it from Bram Clement or you’re working with someone who did. 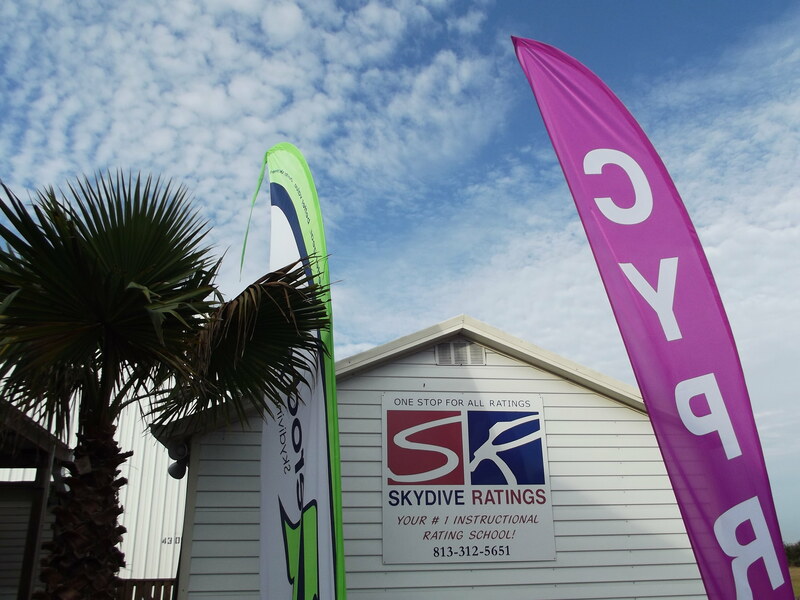 The company he founded–Skydive Ratings, based at Zephyrhills–has been one of the most respected, prolific and professional ratings programs in the skydiving world since its emergence in 2003. For the most part, that lofty status is attributable to its passionate, straight-talking originator. This story starts, of course, when Bram started skydiving. It was 1986, in his native Netherlands. As was the standard back then, he entered the sport through the static-line method. As a young, hungry skydiver, Bram could hardly wait to move on to those big commercial centers. After about 200 jumps in the Netherlands, he left. His destination was a much bigger dropzone in next-door Belgium, where he competed in 4-way and eventually made skydiving his profession. He didn’t waste any time, earning every available rating in just a couple of months. Bram made the big trans-continental move in 1988. He came to Florida’s vibrant Zephyrhills dropzone with about a thousand jumps, bringing all his best European students in tow. It was a landmark moment. In fact, part of him never left the Florida dropzone after that first arrival. (For the thirty years since, he has spent almost every winter in Z-Hills.) At any rate, Bram had his work cut out for him. He got right to work getting all of his standing ratings recertified, even making a far-flung trip to California to nail down his AFFI. With all those courses under his belt, Bram had seen a lot of high-level skydiving instruction, and he was beginning to notice some trends that he wanted to help reverse. At this stage, Bram was traveling and working as a full-time instructor at a variety of different dropzones throughout the USA (a lifestyle he kept up for 13 years). Bram’s interest was mainly focused on AFF; in 1997, he started working as an Evaluator of AFF Instructor courses. (At the time, there were only three such Examiners on the planet.) The AFF Instructor course was deceptively simple: You would–theoretically–arrive on the first day of the course ready to perform, pass your skydives and pass the teaching part of the course. After that, you would be graduated as an AFF Instructor. Despite the apparent simplicity of the course, it was notoriously tough. In fact, more than 60% of the attendees failed out. 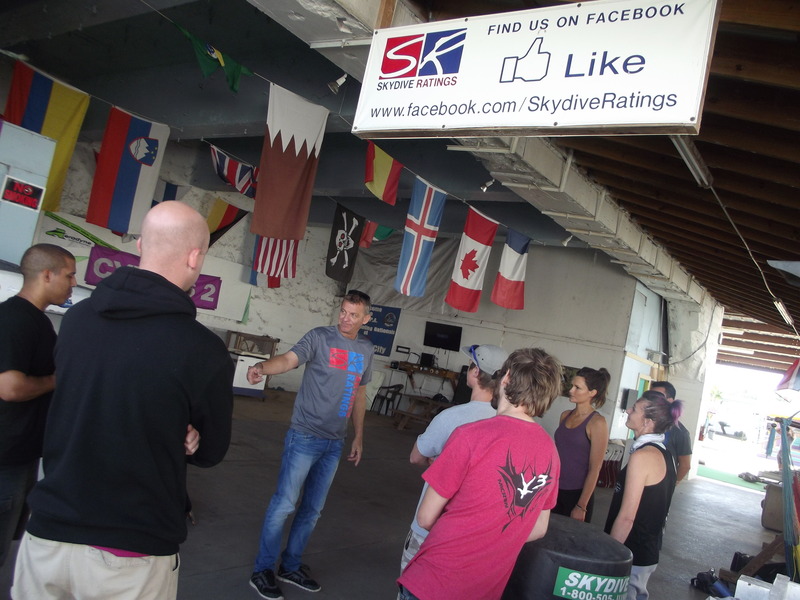 “I could see how improvements could be made in those instructional rating courses,” Bram notes, “And I knew how I would want to do it.” The concept behind Skydive Ratings was beginning to crystallize. According to Bram, the changes he knew he wanted to make in the instructional methodology sprang from the methods of 4-way coaching–a field in which he had years of history. In Bram’s experience, the best learning gains were made in a supportive coaching environment. The instruction for skydiving ratings had no such focus. Instead, it was all about passing the test to get the ticket. “I wanted to be more supportive and change the format of instructional rating courses, especially the AFFIRC,” he remembers. “In my courses, students are not called students; they’re called ‘candidates.’ I made it my goal to teach candidates the skills necessary to pass the test, but to take the focus off ‘just getting the ticket’ and instead to emphasize the learning process.” In Bram’s courses, candidates are mentored closely, and the emphasis is placed on holistic learning with a wider focus. There is no single-point priority on getting a ticket and getting out. Since professionalism, commitment and personal investment are such core values in Bram Clement’s life in the sport of skydiving, it’s unsurprising that he has been a CYPRES athlete since the very early days. Those are our values, too. Bram explains that he has equipped a CYPRES in all of his gear since the start because he believes that CYPRES is “the true professional choice.” Bram goes on to explain that, over the years, he has turned down more sponsorships than he has taken on, so his choice to represent the brand is very deliberate and meaningful. Bram doing what he does best: teaching. While Bram has never personally had a CYPRES reserve ride, he has seen two of them in person. Uniquely, the two CYPRES rides he saw happened at the same time, on the same jump. At the end of the day, Bram’s overarching goal is to make sure that every skydiver has a long, happy career, supported by the very best education and the very best educators. That focus has driven “every day of his life” since he first became an instructor. In fact: When we interviewed him for this article, he reveals that he’s just eight candidates short of 3,000 successful graduates personally certified. 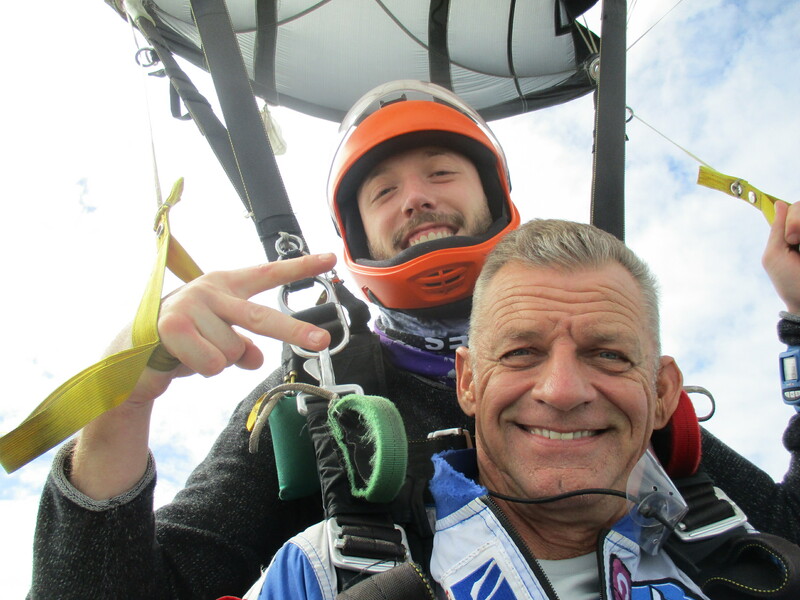 Every single one of those 3,000 people has walked away from Bram’s course and out into the sport of skydiving with his philosophy taken deeply to heart. That little miracle–and its attendant responsibility–are not lost on Bram. When we ask him, he has an example ready to go. According to Bram, his specific goal is to graduate what he likes to call “true professionals” into the sport of skydiving. The concept of professionalism is a cornerstone of Bram’s philosophy and work. For him, the future of the sport absolutely depends on it. It’s no exaggeration to say that the public Bram is educating spans the entire globe. 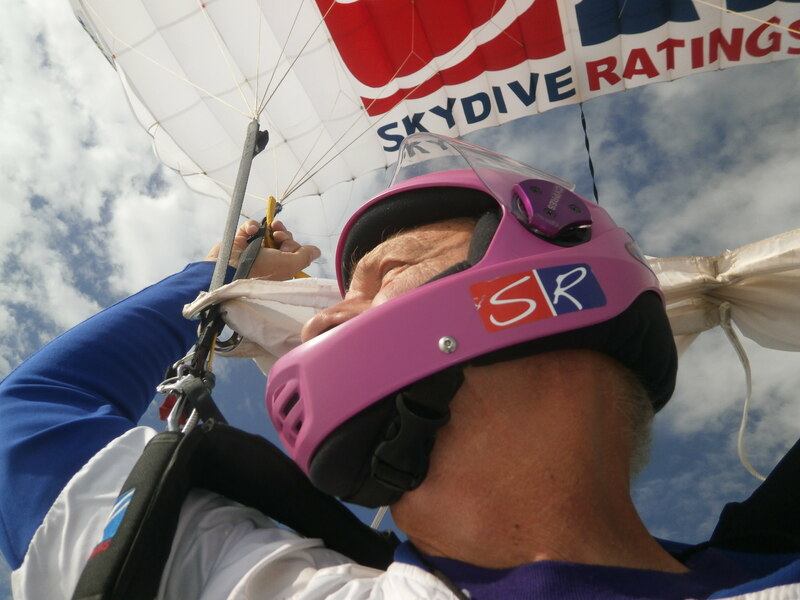 He has run courses in the Czech Republic, Ireland, Finland, China, Ecuador, Canada, Japan, France, Spain, Portugal and skydivers from all over the world travel to Zephyrhills to visit SkydiveRatings. “Courses are less challenging for me if the candidates have a high motivation,” he explains. Quite often a highly motivated candidate makes significant progress in the course of a few days. CYPRES has been a proud supporter of Bram Clement and his groundbreaking educational efforts since the earliest we can remember. To contact him regarding the next steps of your own ratings journey, reach out through his website: skydiveratings.com.